For the Bhambure family in village Dhore Bhamburwadi in Khed taluka of Pune district, Diwali celebrations have already begun. The entire family and extended family are busy in celebrations which are likely to continue for days to come. Like the celebrations, the reason for it is also unique. The family has given the country the oldest Sarpanch! 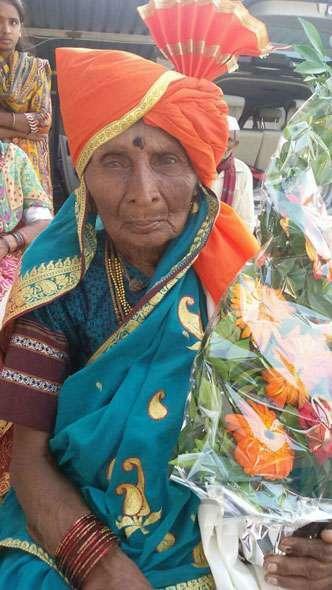 Gangubai Bhambure, 93, has become the Sarpanch of Dhore Bhamburwadi Grampanchayat. She is the first woman Sarpanch of the village in the last 15 years. Gangubai won the elections held on 6 September. The results were declared on 7 September. Fondly called \'Ajji\' (grandmother), Gangubai is respected for her generosity and helping nature by 2,000 odd residents of village Dhore Bhamburwadi. And, it is not just Gangubai, who has won the elections in the family. Her grandson Bharat too has won and will manage Dhore Bhamburwadi gram panchayat along with his grandmother. "The post of the Sarpanch was reserved for ladies. Since there was no other suitable candidate, villagers forced my grandmother to contest the elections. This is for the first time my grandmother has contested any election and won too," Bharat said. The village was divided into three wards for the elections to elect three members from each ward. Bharat and Gangubai contested from the same ward. This is for the first time in the history of the village that a grandson and grandmother are representing the same ward. Gangubai got 318 votes while her direct opponent Sunita Bhambhure got 294 votes. And Bharat got 335 votes. "For us, it is no less than Diwali celebrations. Everyone in the family is in a festive mood. People are literally camping at our house, congratulating grandmother and celebrating the victory. The villagers also took out a procession in the morning to celebrate the win," Bharat said. Though, illiterate, Gangubai knows how to manage the village. "I know the village and every villager by name. I am aware of the problems of the people. My age will not be a hindrance in performing the duties," said Gangubai. People from adjoining villages, when they learnt about the victory, made a beeline to the Bhambhure residence to see Gangubai. Even at 93, Gangubai is fit and walks the entire village at least once every day without assistance from anyone or the walking stick. She is busy welcoming people at her home since the results are out. Talking to Catch over the phone, Gangubai said, "I had appealed to the people of the village to ignore my age and come together for the development of the village. I will not leave any stone unturned to solve the problems. Though I don\'t have any administrative experience, I will learn the functioning and bring about the desired change in the village." With great humility, Gangubai admits that she was shocked when Bharat asked her about contesting elections. A very hesitant Gangubai was reluctant to contest the elections at 93, but changed her mind after Bharat pursued her. "Bharat convinced me to contest the elections and I decided to give it a try. I was not sure about the victory, but gave 100% during the campaign and the results are here for everyone to see and celebrate," Gangubai said. 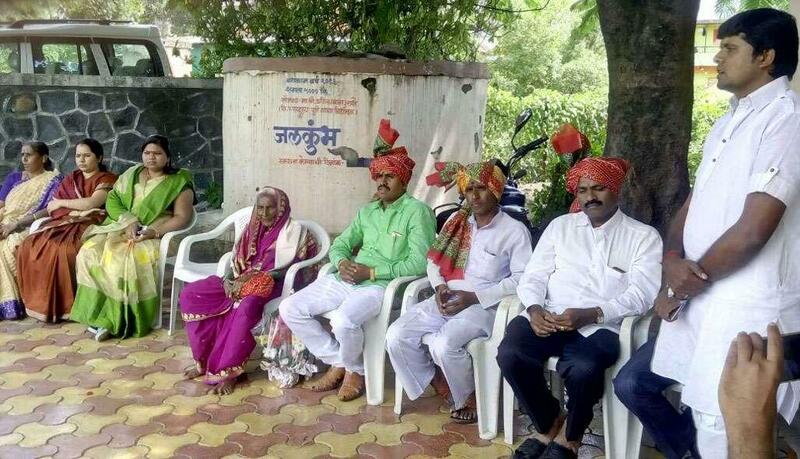 The entire Dhore Bhamburwadi village is decorated with flowers and hoardings of Gangubai in pink saree and Maratha turban flashing the \'V\' sign. 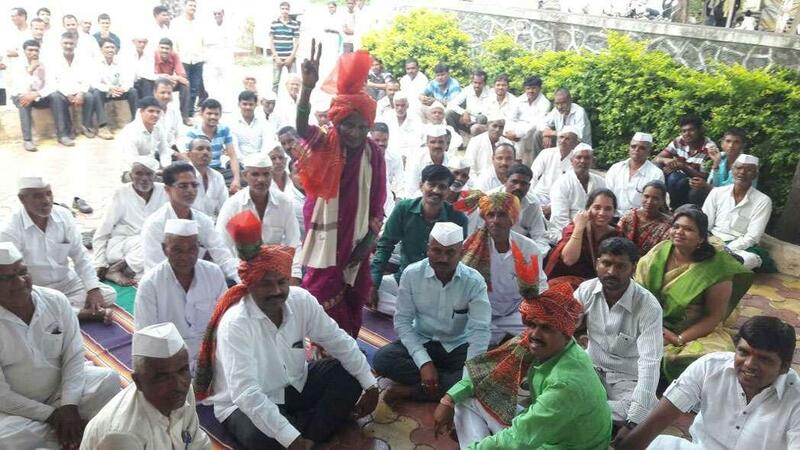 It is the unique day for the villagers as their Ajji is now their Sarpanch as well. "Earlier, people used to come to me seeking advice on various issues they faced ranging from agriculture to family disputes. But the situation is changed now. I have got greater responsibility to take care of the entire village. I will not let them down," says Gangubai. A Warkari to the core, Gangubai used to participate in Wari, an annual pilgrimage from Alandi near Pune to Pandharpur. She used to walk all the way to Pandhapur from Alandi every year with millions of other Warkaris. After the news of the election was out, her three sons, a daughter and ten grandchildren have gathered at the ancestral house in the village. They were all settled in Pune and Mumbai for their jobs. "At the ancestral house, I stay with my parents and grandmother. My uncles have migrated to cities like Pune and Mumbai in search of bread and butter. My father decided to stay back and continue farming. Grandmother used to help him in farming till five years back. But have gradually stopped going to fields due as she grew older," Bharat said. With the senior most person in the village at the helm of affairs at Grampanchayat, residents of Dhore Bhamburwadi are confident of corruption-free functioning and development of the village.